Austinites love their urban forest and it shows through our high levels of forestry related volunteerism. 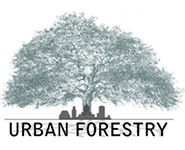 Get involved and learn more about your urban forest. The Urban Forestry Program has multiple plantings each year through partnerships with local non-profits and other City programs. To get involved with tree planting and mulching please visit our partner programs for upcoming opportunities. To volunteer at City park events, sign up on Give Pulse or contact Brian Block, Development Administrator, at 512-974-6756 to get involved with Community Improvement Initiated Projects. Did you find what you were looking for? Please contact us and we'll be happy to assist you.